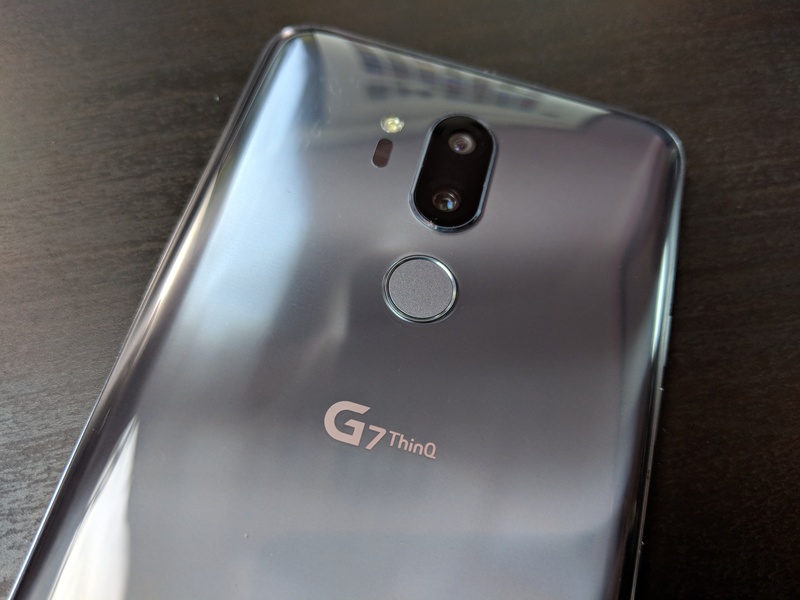 It’s been a little while since the LG G7 has launched, but folks are still picking up the device. If you fall into that category, then you’ll want to get acclimated with your new smartphone and its various quirks. 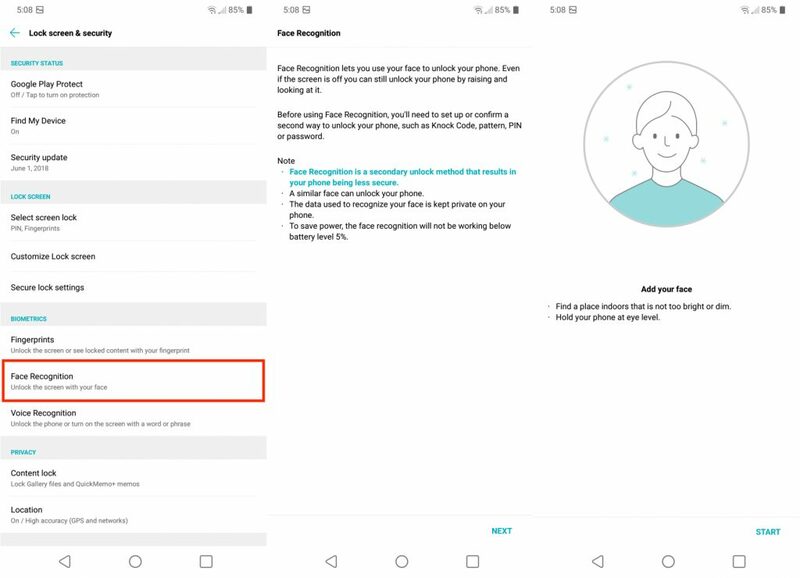 We have compiled a list of the seven tips to get started with your new LG G7 ThinQ! We knew it was coming since LG likes to follow trends, but the notch is here with the LG G7. 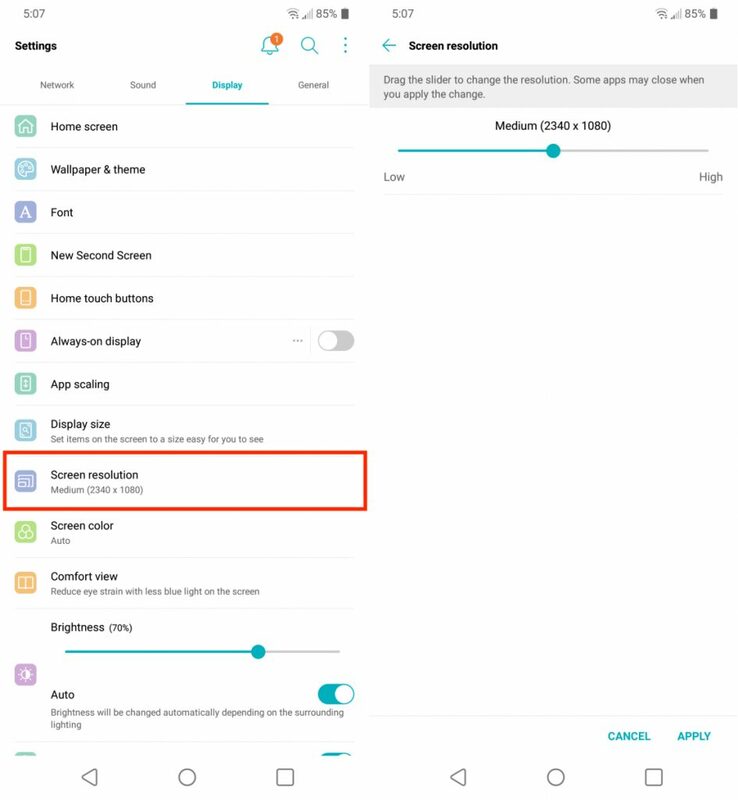 But you aren’t just “stuck” with the notch, as LG has included a new Settings option to customize the “New Second Screen”. Once you have entered the settings panel, you are greeted with Color and App Corners sections. The Color section allows you to stick with the “Standard” setup of using all of the display you can. Or, you can opt to get your status bar back to normal and customize the colors. 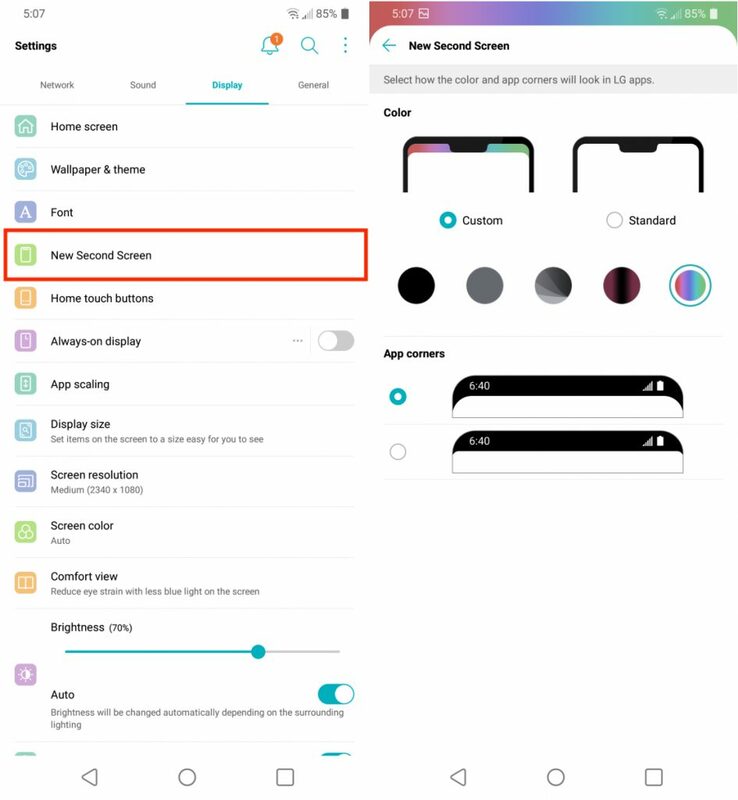 By selecting the Black color option, this will essentially hide the notch, and you can set it and forget it. Moving onto the App Corners, this is only enabled when you select the “Custom” Color option. App Corners will allow you to adjust the severity of the curve for the corner of the second screen between two different options. It’s important to keep your devices protected throughout the duration of your ownership. This comes in either the form of a case or screen protector or both. From the link above, we have already covered some of the best options for the G7. However, we have listed a few more options below, available for quick and easy access. Out of the box, the LG G7 comes equipped with 64GB of storage, which is just okay. 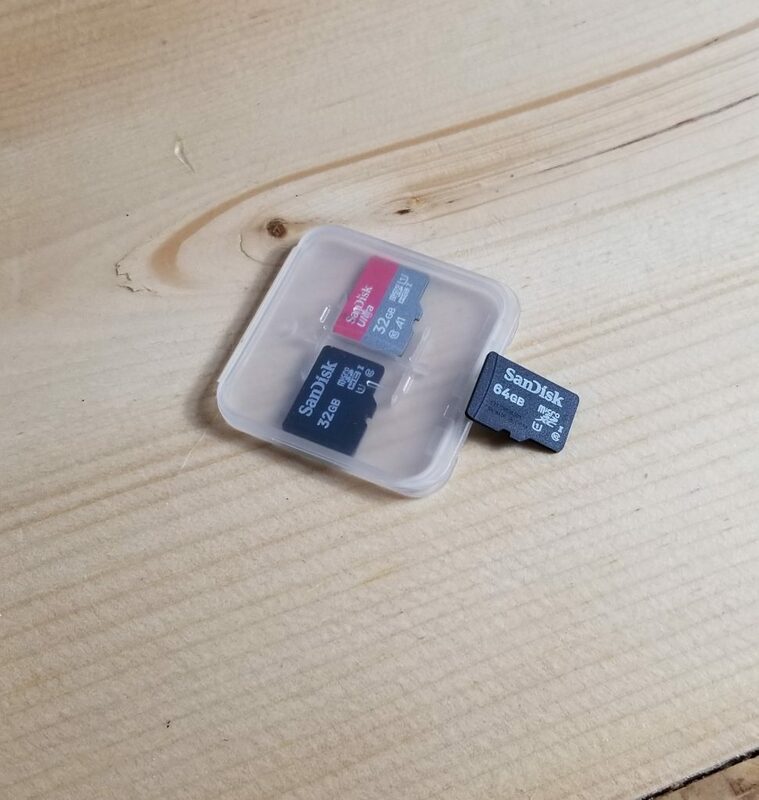 What is awesome about the G7 is the fact that there is a microSD card slot for expanding. There are a few options to choose from, and you can even get a 256GB microSD card from Samsung for less than $100. That’s more than enough storage to have all of your apps, games, movies, and whatever else you need on the go. LG has been doing just about everything it can under the hood to help improve battery life. However, that is still a tall order due to the paltry 3,000mAh battery. There are a few things you can do to help improve battery life, starting with the display. The resolution of the G7 comes in at 3120 x 1440, but this can be adjusted. Obviously this is less than ideal for those who want to have the full-power of the G7 at their fingerprints. But adjusting the resolution will help squeeze a few extra minutes from your battery before the end of the day. For some reason, various OEM’s are trying to get rid of the app drawer, moving to an iOS-like world. LG does this out of the box, but also makes it possible to bring back the app drawer. If you want to swipe up from the bottom to bring up the app drawer, you can do so. However, for those who want the app drawer icon, there’s a toggle in these settings here too. Of course, you can just bypass all of this and download a launcher such as Lawnchair, Pixel Launcher, or Nova Launcher. Fingerprint scanners have been around forever, but a new push is bringing face recognition to the masses. The G7 ThinQ is no different, as you can now unlock your device just by looking at it. From here, you will need to put your face in the center of the circle. Then, the G7 will scan your face and after it has been completed, you will be able to look at your phone to unlock it. This is not as secure as Samsung’s Galaxy S9 or the iPhone X due to the lack of biometrics. However, it is still an option to quickly unlock your phone without needing to use the fingerprint scanner. For the first time on Android, a device has launched with a dedicated button for Google Assistant. 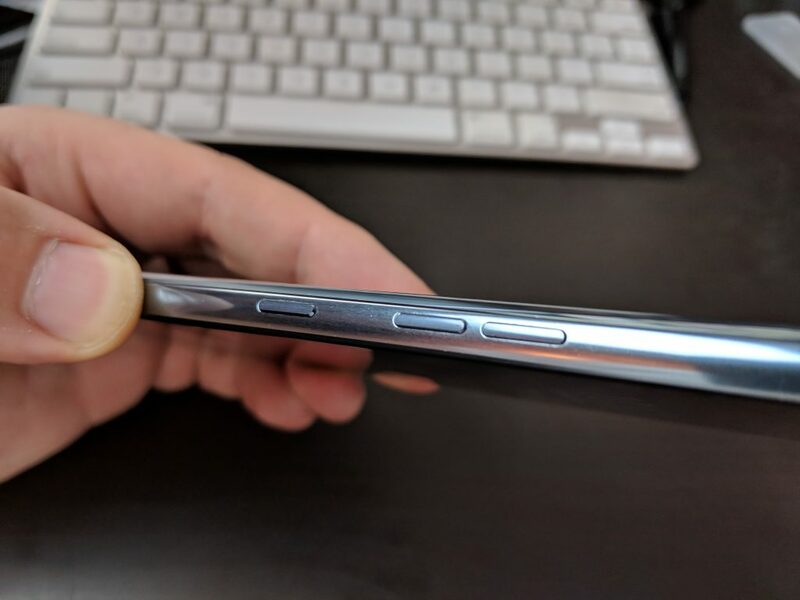 Samsung has a Bixby button for its Galaxy lineup, but you have to try to remap it with another app. Instead, the LG G7 features a dedicated hardware button which is located on the left-side below the volume buttons. Tapping it for the first time will walk you through the set up process. Once completed, you can summon Assistant with the press of a button and get Google working for you. This also will provide quick access to Google Lens, as LG has this built into the G7. There are a lot of smaller features packed into the LG G7, but we will save those for later. Instead, these are the tips and tricks you’ll need to get acclimated with your G7 for the first time. Is there anything that we missed? Let us know in the comments below and keep an eye out for our more expansive list of tips & tricks.